Heavy Haulers agents worked the Florida Winter Auctions successfully this February. Reps were on site for all four auctions – Alex Lyons, Yoder & Frey, Jeff Martin, Ritchie Brothers – held in the Orlando suburbs this season. Though the Heavy Haulers transport table was fully staffed for the Alex Lyons and Yoder & Frey auctions, traffic was thin and reps were able to book only a few shipments. Both companies have held their February auctions for years, and competition for transportation was stiff. Jeff Martin held his first Florida auction this year, so traffic was slow at the booth in Kissimmee. Business picked up when the action shifted to Davenport, Florida, and the Ritchie Brothers Auction. Heavy Haulers reps were busy throughout the week before packing up and heading home. Reps from Heavy Haulers shipped more than 40 pieces of heavy equipment for clients from the Florida Winter Auctions this season. The highlight for Heavy Haulers was an order to ship four Caterpillar 725 Articulated Dump Trucks. At more than 50,000 pounds each, the dump trucks required oversize permits from multiple states. The transport for each was more than 1,200 miles. Heavy Haulers reps also shipped mini excavators, day cabs, water trucks and rollbacks over the three weeks at the Orlando auctions. 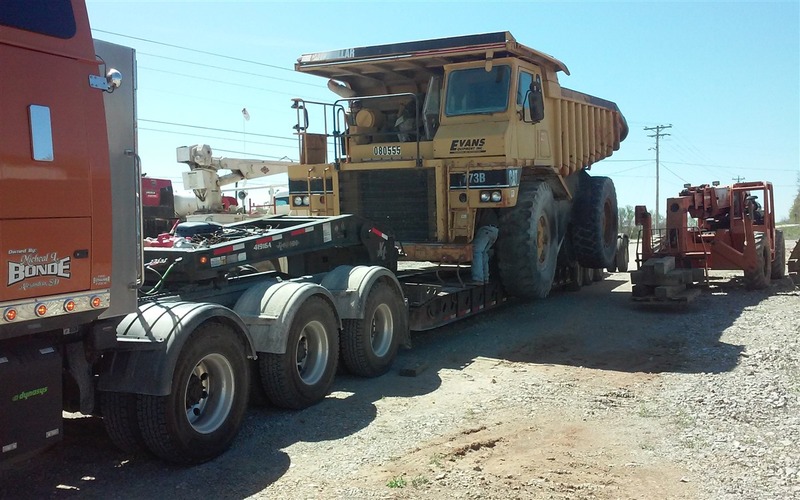 Heavy Haulers agents have expertise in shipping heavy equipment for auction companies. The company is the premier shipping agent for a handful of smaller equipment auction houses. Foltz would like to expand that footprint this year. According to Foltz, Heavy Haulers assigns one their most experienced agents to each regional auction-house client. The dedicated agent is on standby during auction days, ready to provide 5-minute quote replies to anyone at the auction. The three-week Florida Winter Auctions, however, were another ballgame.